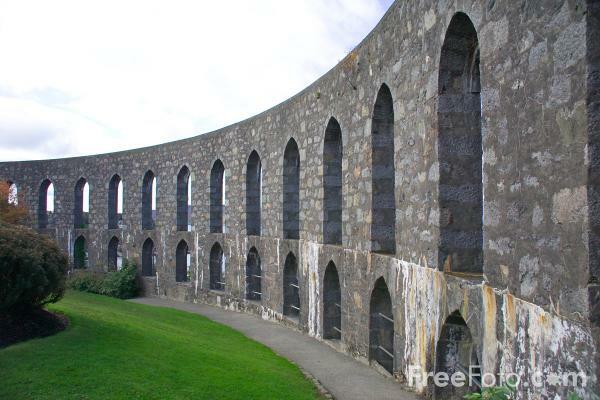 Picture of McCaig's Tower / McCaig's Folly, Oban. It was built over a three year period starting in 1897 by John Stewart McCaig, an Oban banker who then died before it was completed. The structure with its two foot thick walls rising forty feet against the Oban skyline is now home to a public garden and great views over the town. VIEW: More images from the category Oban or around the same time .